There are a few things that define being a South African; if you use the word ‘Ja’ instead of ‘yes’, if you know what a ‘bakkie’ is, if you call it a granadilla instead of a passion fruit and, if you have at least one memory of OBS (Old Brown Sherry). Mine specifically revolves around Christmas and the generous glug my Great Aunty Margot always adds to the family trifle, but my story isn’t nearly as exciting as the one’s Sedgwick’s have compiled in a sweet little book to celebrate their 100-year birthday! One story, specifically, had me in fits of giggles because it sounded exactly like something my late grandmother would do! It’s called ‘The Undefeatable Tipsy Tart’ and was submitted by A. Nel. “For over 15 years, my Grandmother was the reigning Tipsy Tart Queen of the local Agricultural Show. No other tannie could come close and every year, as she walked away with another first-prize ribbon, you would see them flocking around, fishing for her “secret ingredient”. Ouma would just laugh and say: “It’s made with love”. Two years ago, my Gran passed away and my mother inherited all of her cookbooks and the hand-written recipes she had collected over the decades. Obviously the first dish my mother tried to replicate was the Undefeatable Tipsy Tart and while it tasted delicious, well, it wasn’t THAT good. 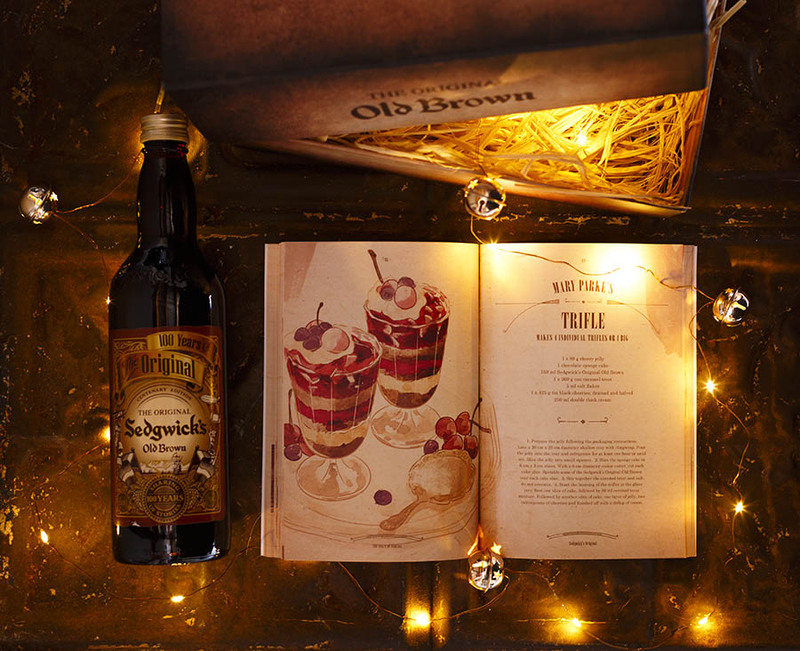 If you’d love to get your hands on this special book (and a bottle of Sedgwick’s to drink while you mull over the stories), I’m giving away a gift set over on my Facebook page this week so click here to enter! You can also read all the funny OBS tales over on Sedgwick’s website here. 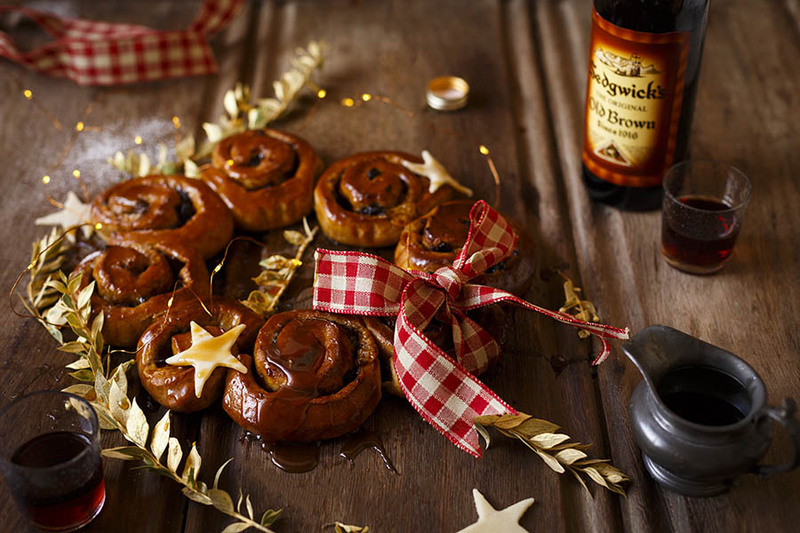 But before you head on over, I’ve made some deliciously sticky Christmas buns stuffed with proper almond marzipan and fruit mince and drizzled with a Sedgwicks caramel which, if I could, I would bath in! 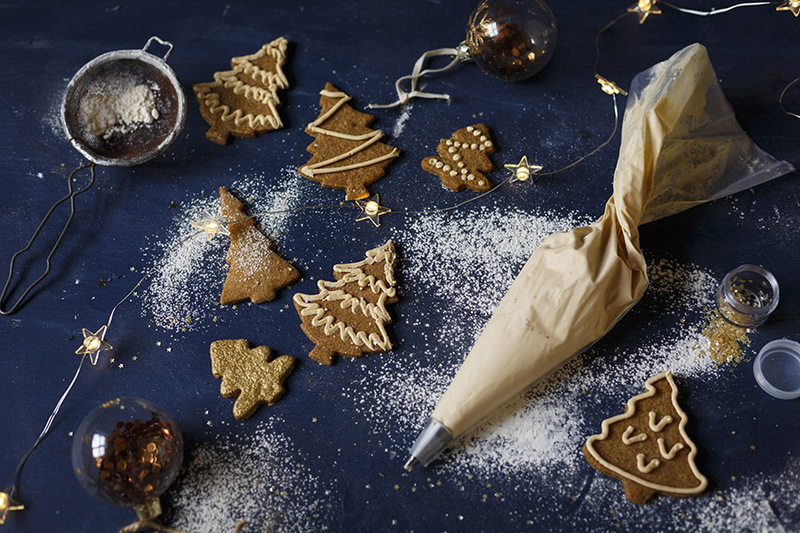 Make them on Christmas eve, pop them in the fridge to prove overnight and bake them on Christmas morning to nibble on while you open presents! Merry Christmas everyone! Make the dough by placing all the ingredients in a mixing bowl (I use a stand mixer to make it easier) and combine until a soft dough forms. Knead the dough for 8-10 minutes or until it’s smooth and springs back when poked with a finger. Cover the dough and leave to rise in a warm place until doubled in size (about 1 hour). 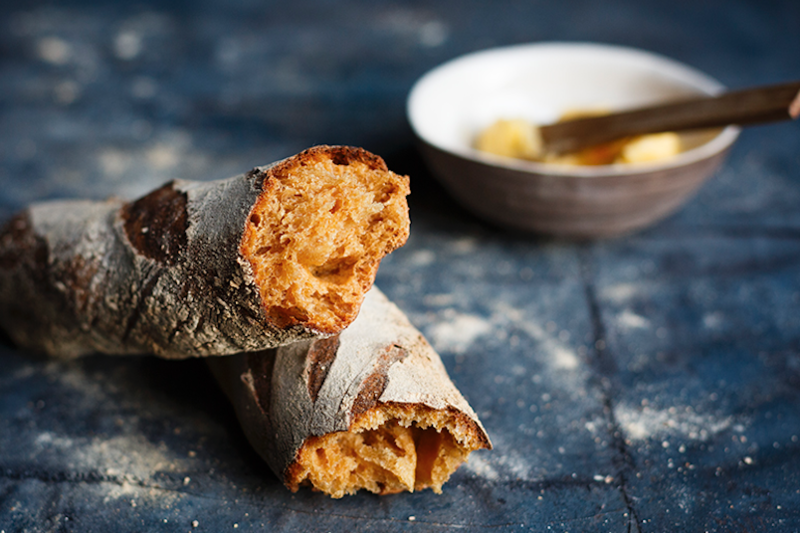 You can also do this in the fridge overnight which gives it a lovely sourdough flavour. In the meantime, prepare the baking tray by rubbing a large 30cm spring form cake tin with butter. Knock down the dough and knead it lightly to press out the air then roll out into a 20x30cm rectangle. Spread the dough with the softened butter then spread with fruit mince and sprinkle with grated marzipan. Roll the dough up tightly (from the longest side) to form a sausage then slice into 2cm thick wheels. 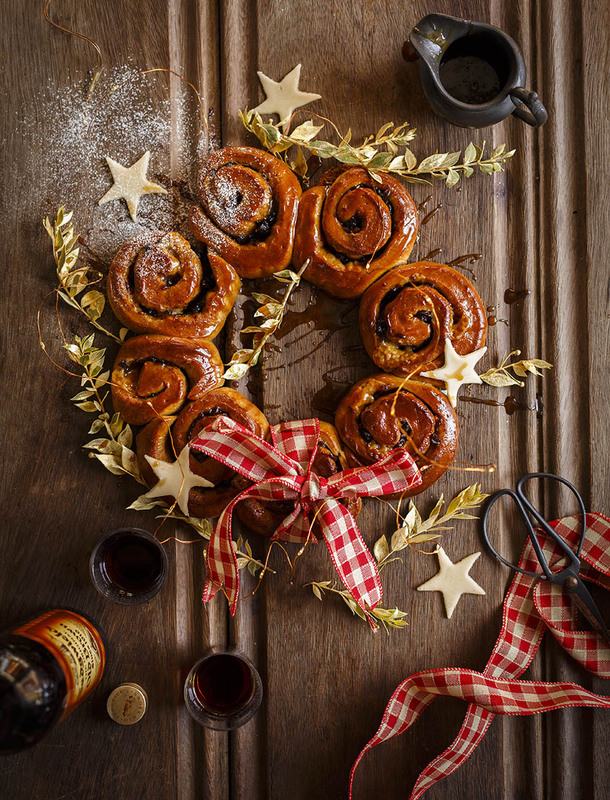 Pack the buns around the outside of the prepared cake tin and place a small ramekin in the middle (to keep the wreath shape. Then cover loosely with cling wrap and allow to rise in a warm place until doubled in size. In the meantime, make the caramel; place the sugar in a pan or saucepan with 2 tbsp water and heat gently until dissolved. Bring to the boil and simmer until deep golden brown. Add the OBS, butter and cream and swirl to combine. Allow to cool. Preheat the oven to 200C (conventional, 180 fan-forced) and bake for 20-30 minutes until golden (with the ramekin in the middle). 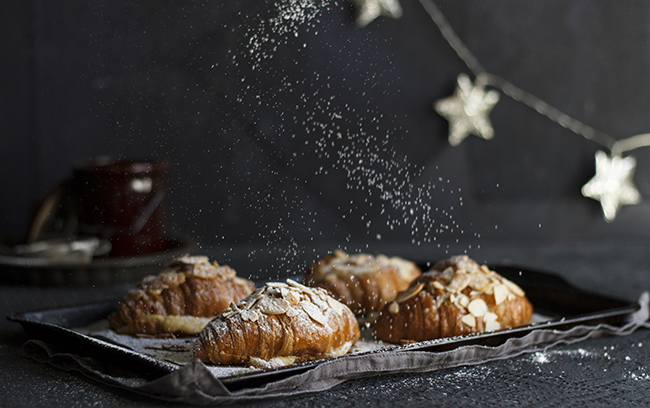 Allow to cool slightly before serving warm, drizzled with the sherry caramel. 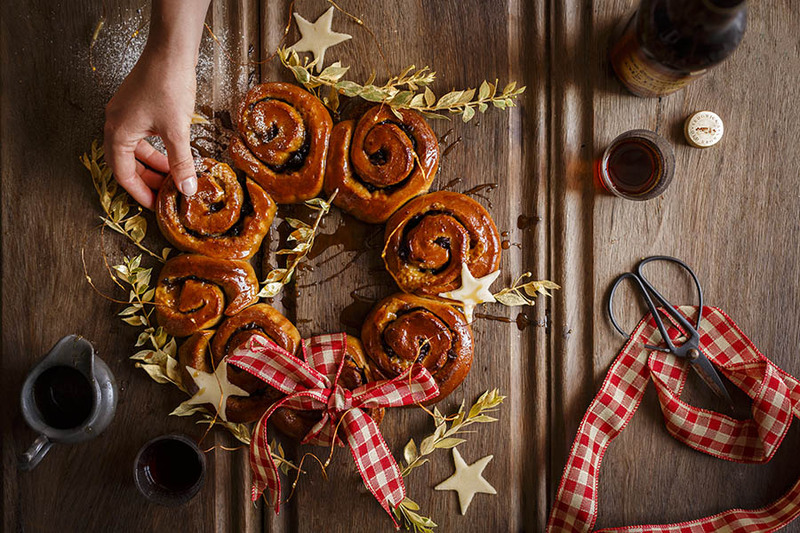 Decorate with marzipan stars. TIP You know when people say they hate marzipan? What they really mean is they hate persipan – the fake marzipan sold in most shops which is actually made from peach and apricot kernels and tastes like almond essence (also fake). Woolies now sell proper marzipan so do yourself a favour and give the real deal a try.